Franklin Houston was born on December 22, 1915 in Bourbon County Kentucky. He died March 10, 1884. 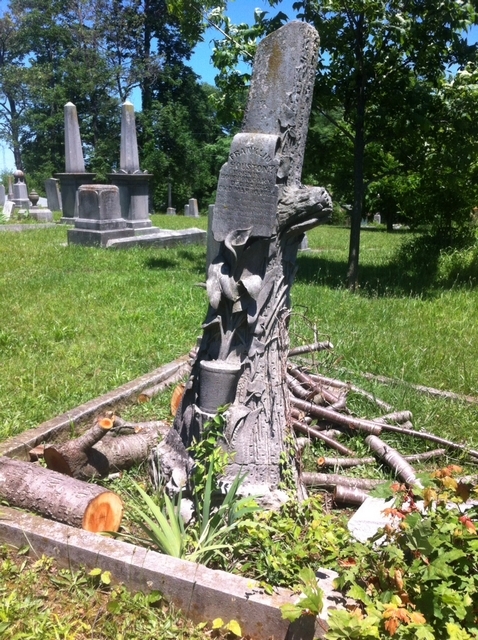 Houston's tree stump headstone is carved from Indiana limestone and features a potted lily. The lily is used to symbolize Easter, purity, innocence, or heavenly bliss. Tree stump headstones use these symbols to represent different aspects of a person's life.